For most Orthodox readers, the answer to the titular question of this piece will be an obvious and immediate ‘Yes’. It is a commonplace of Orthodox Christian catechesis that unlike the West, and here West primarily speaks to Protestant and more recent Roman Catholic Bible translations, which uses the Masoretic Text of the Hebrew Bible as its Old Testament, the Orthodox Church places authority in the Septuagint. 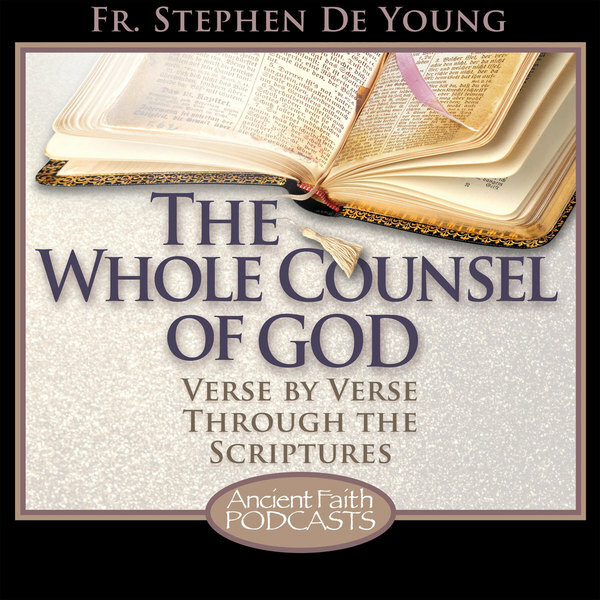 Even a casual internet search will reveal lengthy arguments to this effect, citing the evidence of New Testament quotations, of particular readings in the New Testament where a theological point seems to hinge upon a particular Greek rendering, and quotations from the Church Fathers about the value and reliability of the ‘work of the Seventy’. The difficulty here is that this idea, as generally presented, is a great oversimplification of the issue, and such an oversimplification, that it can be outright misleading. 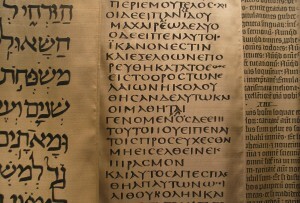 If what is meant by the statement, “The Septuagint is the Orthodox Old Testament” is that Greek-speaking Christians have always historically read the Old Testament in Greek, and treated it with all the authority of the original Hebrew text from which it was translated, then this is a true statement. Often, however, the statement is taken to mean much more. The first issue regarding the identification of the Septuagint as the Orthodox Old Testament is identifying what exactly ‘the’ Septuagint is, if there even is such a thing. Properly speaking, the term Septuaginta is a shorthand for ‘the work of the Seventy’, referring to the translation of the Torah, or Pentateuch, into Greek produced at Alexandria in Egypt in the third century B.C. According to the Letter of Aristeas, this translation was performed by 72 Jewish scholars who worked independently and miraculously produced identical translations. The original reference of the word ‘Septuagint’ then, was not to a version of the Old Testament, but to a translation of the first five books thereof. This usage was the sole usage of the terms throughout most of the history of the church. It is only relatively recently that ‘Septuagint’ and ‘Greek Old Testament’ have come to be used as synonyms. This newer usage, to refer to the entire Old Testament, then produces a number of questions. First and foremost, if we are going to say that the ‘Septuagint’ in this broader usage represents an Old Testament canon, which books are, and which are not, covered by this larger usage. After the translation of the Pentateuch, various books were translated into Greek over the course of the following two centuries of the pre-Christian era. This means that some of the Greek texts of these books post-dated their Hebrew or Aramaic originals by only a very short period (as, for example, in the case of Daniel and Sirach). Within Judaism during this period, there was not a ‘canon’ per se, at least for those segments of Judaism which accepted books beyond the Pentateuch as having authority. In many cases, as we now know from the Dead Sea Scrolls, multiple versions of books (such as Jeremiah) circulated side by side and were used by the same communities. Various texts, in Hebrew, in Aramaic, and in Greek translation were circulating as separate units throughout this period, and during the New Testament period. Christianity very quickly became a movement predominated by diaspora Jewish believers and Gentile converts whose first language was Greek. For this reason, the New Testament documents were written in Greek, and for this reason, the books that would become known as the Old Testament were primarily utilized in the churches in Greek translation. This church usage led to efforts, primarily from non-Christian Jewish sources, to retranslate the Greek to bring it closer to the Hebrew and Aramaic, in actuality closer to a non-Christian reading of same. Over the course of the second century A.D., three major re-translations were made by Aquila, Symmachus, and Theodotion. In addition, another retranslation was done over this period by unknown parties, and is commonly referred to as the ‘kaige’ version, named after a peculiar Greek phrase that recurs throughout. In the third century, Origen collected all of these versions and put them in parallel columns in his Hexapla, noting the variations, along with the then-current Hebrew text. This creates a confusing reality when we look at early manuscripts of the Old Testament in Greek. There are a wide variety of books included in these early codices, and also a wide variety excluded. In a great number of cases, different books within these codices seem to have been copied from different translations. This is, in part why, for example, the version of Daniel from which the Orthodox Church reads on Holy Saturday is actually that of Theodotion, despite the fact that this version was produced by a non-Christian in the late second century A.D. The Fathers, likewise, provide mixed testimony. While there is an agreement by all on a core of books (numbered 24 at the time, but representing the 39 books of the uncontested Old Testament), various Fathers include other books but not in a consistent way. Wisdom, which is included in Orthodox Old Testaments today, is rarely considered by the Fathers to be a part of the Old Testament. This is for the reason, however, that many Fathers list it as part of the New Testament, likely reflecting their awareness that it was written in Greek in the first century A.D. While today, we can order a copy of the Septuagint in Greek from Amazon, and receive Rahlf’s critical edition, this does not really solve our case. This critical text is compiled from three sources, Codex Sinaiticus, Codex Alexandrinus, and Condex Vaticanus. More will be said about these three texts in a subsequent post, but allow it to suffice for now to say that many of those who argue most passionately for the canonicity of ‘the’ Septuagint text also reject the authority of these texts with reference to the New Testament with equal passion. Additionally, many books, such as the Odes of Solomon are included in this text which the Orthodox Church has not traditionally used in worship. The nine biblical odes, included in Rahlf’s edition, are used by the Orthodox Church in Orthros, but include the ninth ode, from Luke 1, which few would argue is a part of the Old Testament. The Greek Old Testament scriptures, then, are a diverse tradition, and represent a whole range texts in various time and places. But further, there are other, equally diverse, but distinct Old Testament traditions within the Orthodox Church, which have never been treated as secondary to the Greek tradition. The Coptic and Ethiopic biblical traditions represent their own, separate development, were translated independently, and include different books, as well as different versions of books and readings not found in the Greek tradition. This was true before Chalcedon, when these traditions operated in full communion with the Greek speaking churches. Likewise the Latin tradition, though it began as a translation tradition of various Greek texts, received an influx of unique readings through the work of St. Jerome with the Hebrew texts of the fourth century, and also settled on its own canonical list of books which is not truly coextensive with usage in Greek speaking churches. Even the Slavonic tradition, coming into existence centuries later, includes certain other books not utilized in the Greek speaking tradition (such as IV Ezra). It is therefore simply not factually true that there is a single set of texts, with a single version of each text, which is authoritative in the Orthodox Church as a whole, to the exception of all others, in Greek or any other language. To try to establish such a text is an attempt to circumvent tradition, the actual life of the Holy Scriptures in the Church through the last twenty centuries. It cuts us off from the richness and depth of that tradition. This is, in actuality, true of the Bible as a whole, and this will be expanded on in next week’s discussion. It is refreshing to find this Orthodox recognition of the historical and textual complexity of the Greek Scriptures. This is real “inside baseball” kind of stuff, but it happens to be one of special my interests, so I’m grateful to Fr. Stephen for his post and will eagerly look forward to subsequent posts on this and related topics. I’m not a scholar, but while growing up I was an altar boy captain at a very ethnic Greek Orthodox, and I happened to pay close attention while serving in the altar , so I learned some Biblical Greek more or less through osmosis. I’ve never felt comfortable with the GOA or OCA translations, so I often look up the original Greek and do my own translations for my private prayers and study. When translating passages from the Old Testament now, I use the Septuagint text published online by the Orthodox Church of Greece (http://www.myriobiblos.gr/bible/ot/default.asp) and Eliran Wong’s wonderful site BibleBento (https://biblebento.com/). I have no facility with Hebrew, so I base my translations solely on the Greek text, but unlike many Greek partisans, I’m willing to accept input/instruction from Hebrew scholars, especially for those passages that use obscure Greek words or grammatical constructions. In defense of the Greek text, I will say that the original Hebrew text (as with many Semitic languages) didn’t have vowels, and the introduction of vowels in the Masoretic Hebrew text came much later. It is my understanding that the Greek text matches the earlier tradition found in the Dead Sea scrolls better than the Masoretic. Not in all cases, but in the majority of cases. For people who want more details about this fascinating (at least to me) topic, I highly recommend the book _When God Spoke Greek: The Septuagint and the Making of the Christian Bible_ by Timothy Michael Law. Law is not an Orthodox Christian, but I think one could fairly describe him as a friend of Orthodoxy. Fr. Farley’s blog referred me to this article and I am so glad I took the time to read and study it. My time was WELL spent. AncientFaith.com continues to provide me with such great teaching and “encouragement”.